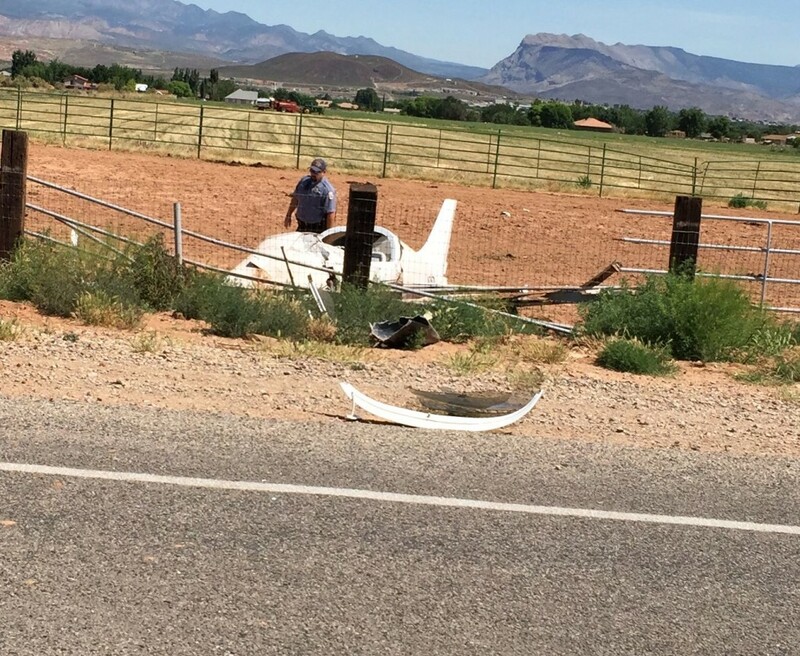 HURRICANE – The pilot injured in Saturday morning’s airplane crash in a field north of the Hurricane Municipal Airport has been identified. 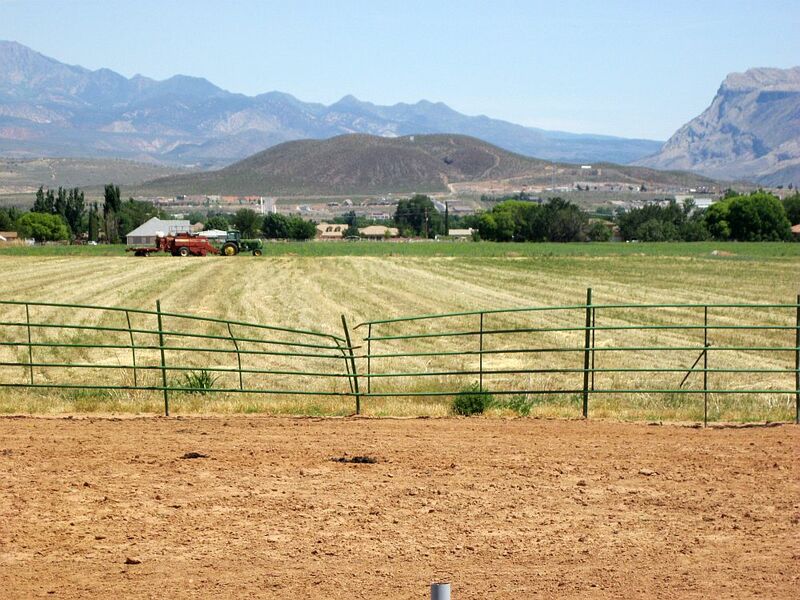 Terri Draper, spokesperson for Intermountain Healthcare’s southwest region and Dixie Regional Medical Center, confirmed the pilot of the plane was Carlos Duenas, 62, of Hurricane. As of 3:40 p.m. Saturday, Duenas remains in critical condition at Dixie Regional Medical Center, Draper said. 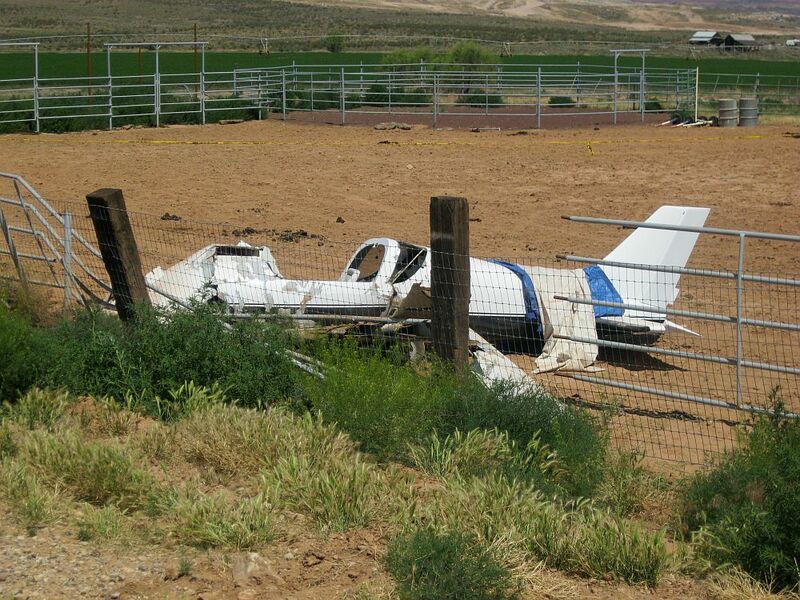 Mechanical failure was the apparent cause of the airplane crash. 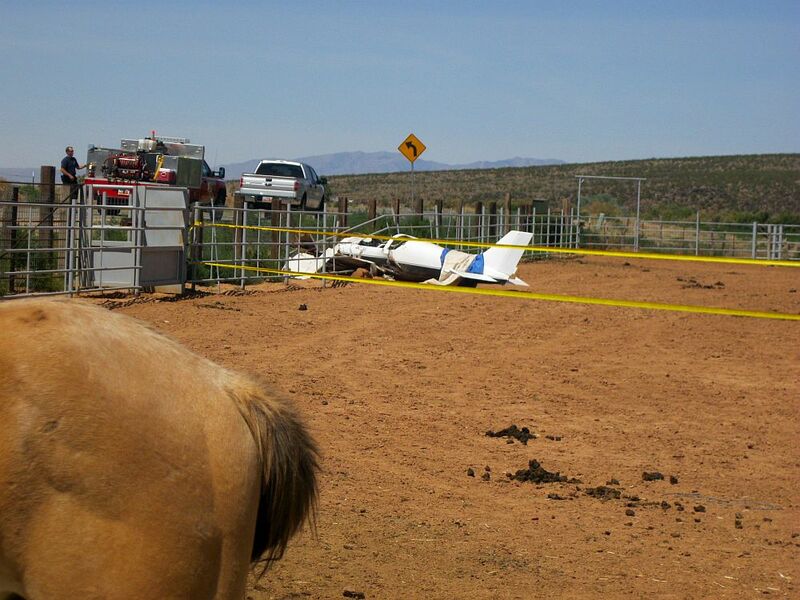 Just before 11 a.m., the Hurricane City Police and Hurricane Valley Fire departments were dispatched on reports of an aircraft that had crashed into a corral. 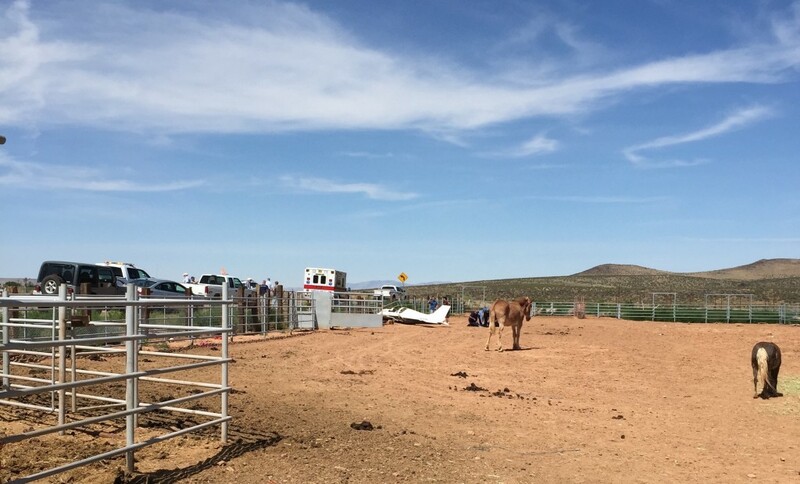 The owner of the property where the plane crashed, Kimberly Nielson, said she didn’t see the crash but heard a loud “thud,” looked out her window and saw the plane in the corral with her horses and donkeys. Duenas was taken by ambulance to Dixie Regional Medical Center with serious injuries, including a laceration to his head and a possible broken leg, Hurricane Police Sgt. Brandon Buell said. 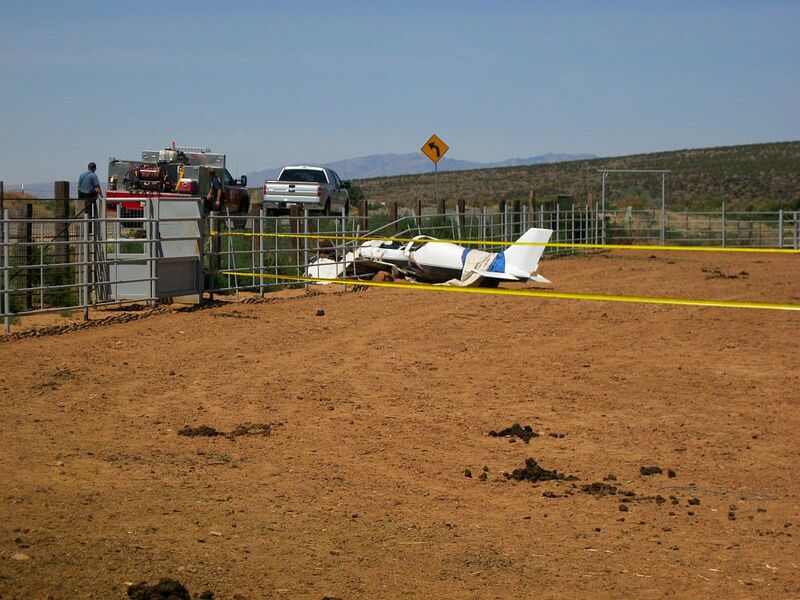 The plane is listed as having been manufactured by Duenas and is a Pulsar III fixed wing single-engine, according to information from the Federal Aviation Administration. The plane is an amateur built, experimental aircraft and is listed as being registered to Stevens & Miles LLC. Prior to the crash, Buell said, the plane took off, circled the field twice, then attempted to land from the north. 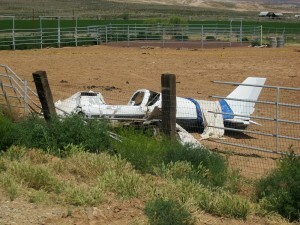 It is believed engine problems caused the plane to stall, and it crashed in the corral just short of the runway. The plane was extensively damaged, Buell said, and appears to be totaled. 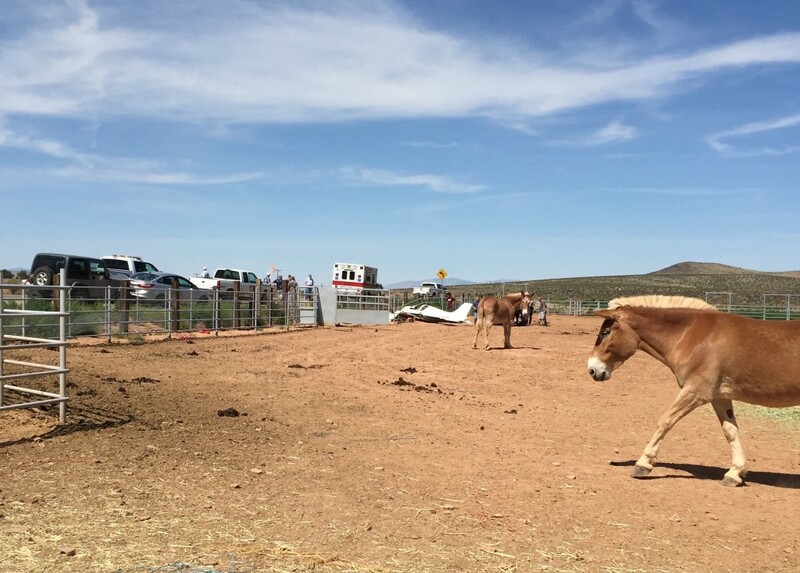 The fencing around the corral was also damaged, but no one on the ground, human or animal, was reported injured as a result of the crash. 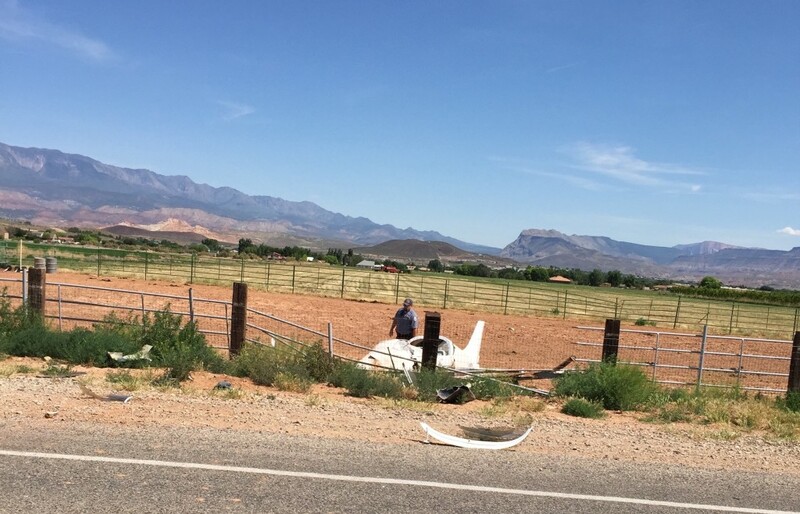 The cause of the crash is currently being investigated, according to a press release from the Hurricane City Police Department, and the FAA has been notified about the incident. Stall speed of 49 mph, not an outrageous hot rod. Aft part of cockpit seems intact but the footwell may not be. 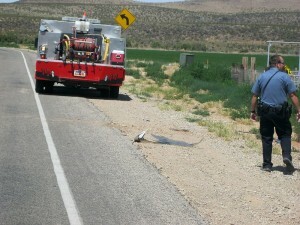 No fire, aircraft upright… could have been much worse. Best wishes for a speedy recovery to pilot.